There are some folk who will run many a mile as soon as they espy the word “jazz”, and you would be right to surmise that obviously I am about to make reference to it. “Jazz”, when it comes down to it, simply means musical freedom, play what you feel. It is of course essential that the musicians in question have the chops and confidence to use that freedom wisely, and Danish collective Taylor’s Universe have both in surplus. 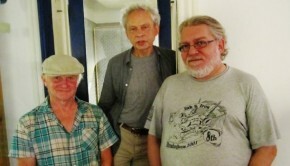 Taylor’s Universe are a long-running and highly musical troupe who while they may be rooted in a jazz sensibility are more driven by an overriding sense of melody. Put simply, they like a good tune; the arrangement of and the guitar work on Firestone even has a touch of Mike Oldfield about it, so there really is nothing to be afraid of here, dear jazzphobic reader. Not for Taylor’s Universe flights of discordant fancy in impossible time signatures, oh no…well alright, occasionally, but not on this album. This band of consummate players solo in the most economic manner, preferring to entrance the listener with short bursts of technical proficiency, as tight ensemble playing is generally the order of the day. 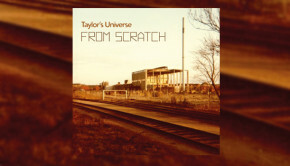 Taylor’s Universe are now over twenty years old and in that time have been rather prolific, and counting side projects and leader Robin Taylor’s solo albums there are 30 releases over on the Bandcamp page! So if this band are new to you, where to start? 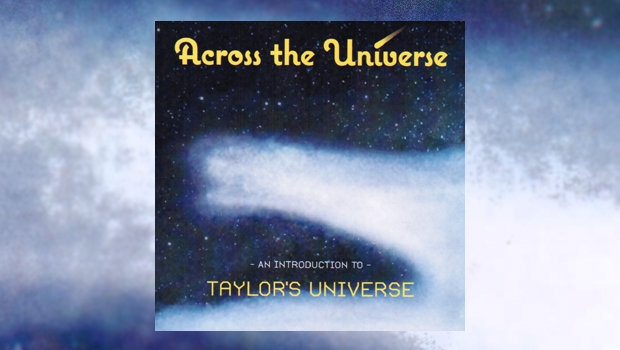 Well, don’t be put off by that vast discography as you may as well begin right here, for Across The Universe, subtitled An Introduction To Taylor’s Universe, is a selection of tracks from three of the group’s more recent albums, re-recorded last year. Tantalisingly excluding music from their last three releases, this is however a classy compilation that goes through many stylistic shifts from the opening alt-café jazz rock of Salon Bleu, to the heavy construction of Fame which features guitar and sax solos aplenty. Whatever rhythm or modal method is used, it is always within a highly melodic framework that is never less than easy on the ear. The warm sound mix of the album assists in that direction too. Days Run Like Horses is corralled by a hypnotic beat while subtle electronica paints a background over which some stunning guitar work from John Sund, in the mould of a supremely animated Bill Nelson, vividly colours the foreground. This tune is another example of Robin’s highly accomplished arranging skills, and he also composed and produced everything here. 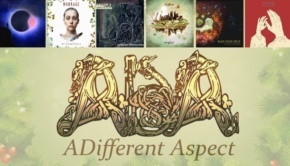 Completely different is the stately progress of Tortugas, a becalmed synth symphony starring the subtle yet slightly menacing synth wizardry of Thomas Thor Viderø Ulstrup. Eventually a riff emerges to lead the longship home, weighed down with the spoils of plunder. Great organ and guitar parts from Robin chart the course across tumultuous seas. Marvellous stuff! If Across The Universe has whetted your appetite, you really should hear From Scratch, which is everything I claim it to be in my review!